Assessment of IT human resources. Vietnam IT labor market. Experience in hiring and developing talents. Moderator: Mr. Long Vuong, Senior Director of LogiGear Corp.
An analysis of the potential of Vietnam BPO sector compared with that of other countries such as Myanmar, the Philippines, etc. Success stories and lessons learned by BPO companies. How the global BPO market develops in the future. New trends of development and how they impact Vietnam’s BPO. 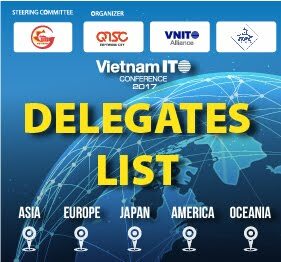 Japanese partners' success stories when working with Vietnam IT services companies. How to strengthen Vietnam – Japan cooperation. 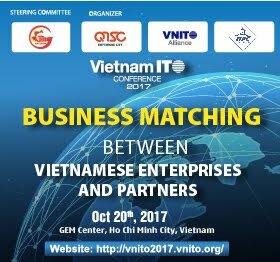 Best business model and/or new cooperation initiatives for Japanese & Vietnamese partners. · Mr. Mitsuoka Shuichi, Director of Topgate Co., Ltd.
· Mr. Itabashi Tetsuya, President of A.C.T Co., Ltd.
How Vietnamese companies use new technologies and solutions to build their competitive advantages and core competencies to sustain business growth. The new technologies shall be in SMACT (Social media, Mobile, Analytic & big data, Cloud computing and Internet of Things), and or AI (for example, Machine Learning). The applications are preferable in hi-tech/smart agriculture, ecommerce/retail, fintech, logistics, and smart-city.